HUD’s allocation of $19.989 million in Community Development Block Grant Disaster Recovery (CDBGDR) funds to the City of Columbia will assist the city to address some of the direst unmet needs remaining as a result of the rain and flooding. To illustrate the city’s plans for implementation of programs to meet these needs, the City of Columbia has developed the following Action Plan. The plan outlines the proposed use of funds and eligible activities available to assist residents and local businesses to recover from the October 2015 flood event. The CDBG-DR Action Plan that was approved by HUD on January 24th, 2017. Download the City Council Power Point Presentation held on 10/17/17. 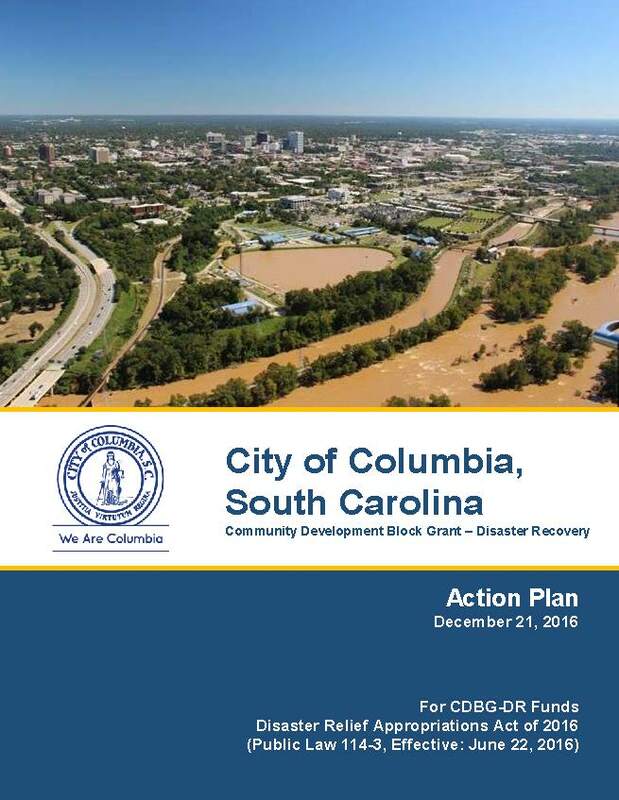 Download the City of Columbia Community Development Block Grant Disaster Recovery (CDBG-DR) presentation.